The ride-hailing giant will pay $3 bln to acquire Dubai-based rival Careem. It shows the group, which is burning through $1 bln a year, can still spend to grow as it prepares to go public. 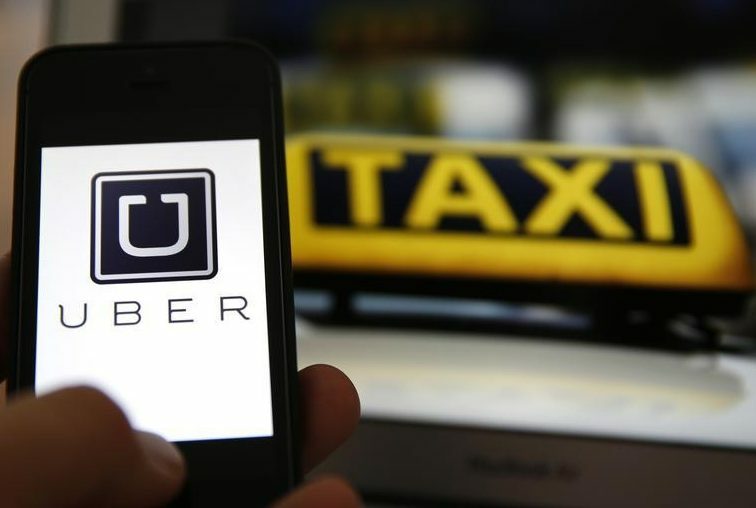 Amid intense overseas competition, the move gives Uber one less thing to worry about. An illustration picture shows the logo of car-sharing service app Uber on a smartphone next to the picture of an official German taxi sign in Frankfurt, September 15, 2014. U.S. ride-hailing firm Uber Technologies said on March 25 it will pay $3.1 billion to acquire Dubai-based rival Careem Networks. Uber will pay $1.4 billion in cash and $1.7 billion in convertible notes, which will swap into Uber shares at a price equal to $55 per share, Uber said. After the acquisition, Careem will become a wholly-owned subsidiary of Uber and will keep the Careem brand and app intact. The deal is expected to close in the first quarter of 2020. Careem, founded in 2012, has a larger presence than Uber in the Middle East, North Africa, Pakistan, and Turkey, operating in 98 cities, compared to Uber's roughly 23 locations. Careem's investors include Saudi Prince Alwaleed bin Talal’s investment firm, Japanese e-commerce company Rakuten, German carmaker Daimler and China's largest ride-hailing company Didi Chuxing. Uber’s major investors include Saudi Arabia’s Public Investment Fund and Japanese group SoftBank. Uber is readying an IPO, with a potential target valuation of up to $120 billion, Reuters has reported.